Today's NYT has a review of a book about a 17th century Protestant theologian Roger Williams, who is credited with emphasizing on separation of Church and State in the US. 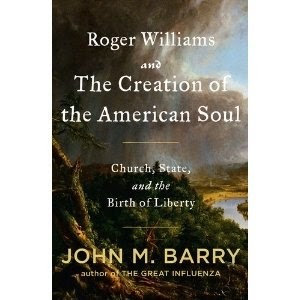 The book is titled Roger Williams and the Creation of the American Soul: Church, State, and the Birth of Liberty. I think the review itself is fascinating as it does a nice job of providing a broader context of Roger Williams' writings. Here are some snippets from the review"
Born in England, Williams was educated at the Charterhouse School, in London, and at Pembroke College, Cambridge, just in time to thrust his way into his nation’s post-Reformation religious controversies. Disagreement over England’s official faith was why radical Protestants, now known as Pilgrims and Puritans, departed to settle colonies at Plymouth (1620) and Massachusetts Bay (1630). When Williams expressed similarly radical beliefs, and faced arrest, he and his wife fled to New England in late 1630. Their need to leave was so urgent that they crossed the Atlantic in winter, ordinarily considered too dangerous a time for ocean traffic. The Williamses settled in Plymouth Colony, and then in Massachusetts, where Williams again annoyed the authorities. When officials arrived at his house to arrest him in the winter of 1636, he was gone. Williams struck overland, through snow and bitter cold, “wch I feele yet,” he reminisced later in life. He survived because he had help. “The ravens fed me in the wilderness,” he said, comparing himself to the scriptural prophets sustained by bird-borne morsels, though his “ravens” were Indians. With their assistance, he reached the upper bend of a bay that would be named for its inhabitants, the Narragansett. There, Williams bought land from its native proprietors and established a settlement he called Providence, to honor the divine assistance given to him and other Christians on their flights from persecution. And yet Williams seemed determined to offend. “I desire not to sleep in securitie,” he had warned the Massachusetts governor John Winthrop, in perfect self-­knowledge of his capacity to be purer than the so-called Puritans. He stated that the colony’s civil authorities could not regulate “the First Table,” those among the Ten Commandments that governed religion; they could prosecute someone for adultery, but not for making (or worshiping) graven images. Next, Williams refused to take an oath of fidelity to Massachusetts, on the grounds that anything sworn in God’s name for worldly purposes was corrupt. The United States is part Serra, part Williams. A “hedge or wall of Separation” between church and state was affirmed by the Constitution; rights for Indians were not. Williams would have considered it a battle half-won. 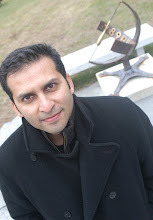 He did not think an “American soul” needed to be created — such souls already existed within Indians. By largely confining Williams’s story to the establishment of liberties for America’s adopted populations, without equal attention to the defense of its indigenous inhabitants, Barry has perhaps underestimated his remarkable subject.